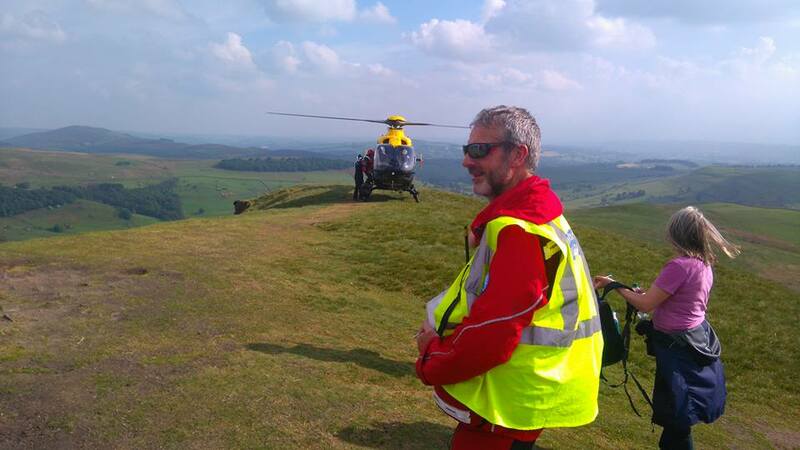 Just as team members were leaving work for the day a call was received to help an injured walker on Shutlingsloe. Mobiles one and two were tasked to RV with available team members. Team members carried emergency bags and a stretcher to the summit and met the casualty party. 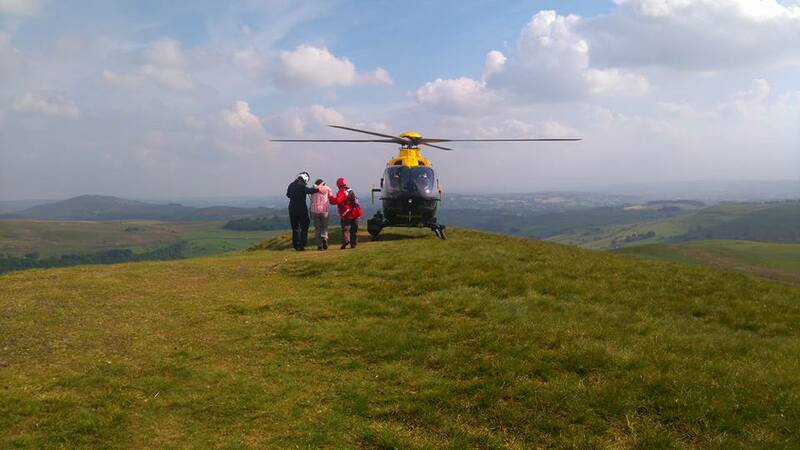 An experienced walker from the High Peak area had tripped on the descent and suffered a fractured wrist. Just as the lady was being assessed by the team’s casualty care technicians the NPAS helicopter from Greater Manchester Police arrived on site. After the initial assessment, the casualty was transported via the helicopter to the team’s RV location for onward travel to hospital by the casualties family. 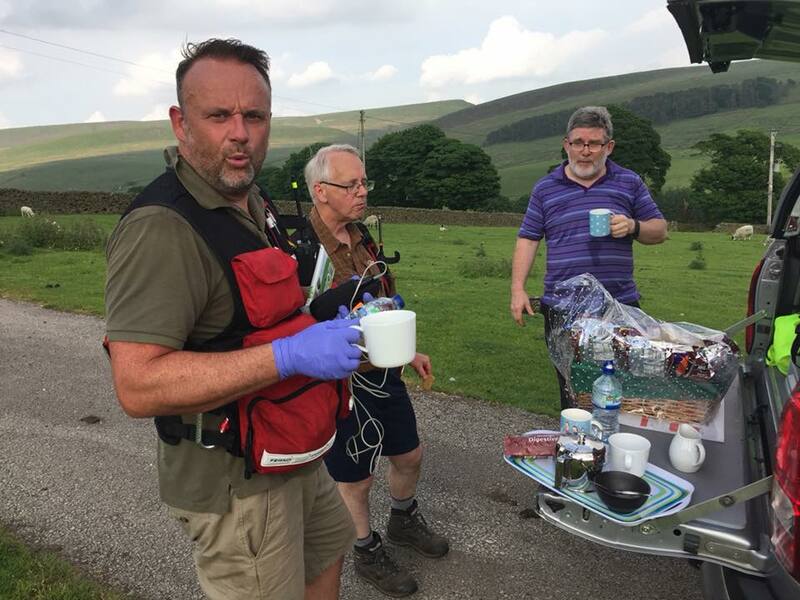 We’d like to thank the owners of Shutlingsloe Farm for a welcomed cup of tea and biscuits. Thanks to everyone at Buxton Mountain Rescue and NPAS Barton who were brilliant in rescuing me after a fall at the top of Shutlinsloe yesterday. Everyone was professional, efficient and very friendly and we are all ‘extremely’ grateful for a wonderful job. Thanks also to the police and ambulance on the ground plus the orthopaedic team at Macclesfield Hospital for ‘completely’ sedating me whilst they realigned my bones!! I am doing well now and back home and the doctors are happy that no surgery should be required which is good news. It’s great to know that there are such great people out there to help when needed.